The Confident Girls Foundation fully funded the netball components of the Saturday Afternoon Youth InTensive (SAYIT) program for young Muslim women in Western Sydney. The program provided a culturally safe space where young women could explore issues around their identities, religion, and health. The girls picked netball as their term two subject and 18 girls aged seven to 16 years participated in the program. In parallel, the mothers of the girls were supported by Netball NSW to become Netball Australia Foundation-level accredited coaches and Netball NSW introduced these women and their daughters to the local Bankstown City Netball Association. To celebrate the conclusion of the netball program, the Muslim Women’s Association hosted guests from across the netball community during Ramadan (when the Muslim community fast from sunrise to sunset) to break the fast together with an Iftar. Former Diamonds player Rebecca Bulley was in attendance – her first experience of attending an Iftar. 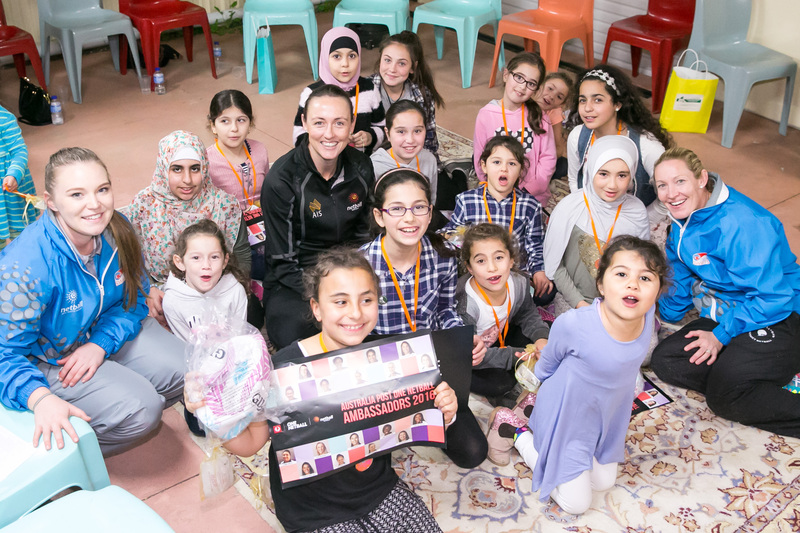 “The Iftar helped me understand more about Islam and how netball is a great opportunity for Muslim women and children,” said Bulley. SAYIT program coordinator Feda Abdo explained that their program is about empowering young Australian Muslim women in everything they do. “The SAYIT participants enjoyed being able to play netball with such talented and fantastic coaches,” said Abdo. At the conclusion of the program and with links now established with the committee of Bankstown Netball Association, the SAYIT students will be hosted at their local courts with further ‘Come and Try’ opportunities in 2017.